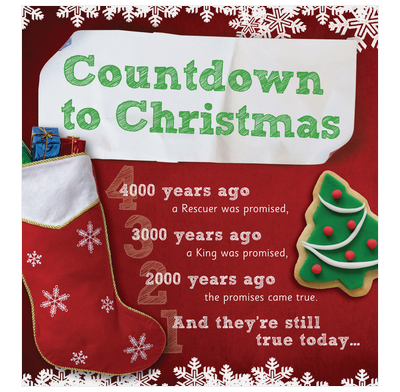 A full-color Christmas leaflet that uses codes to discover how God kept His promises to send His rescuing King. A full-color leaflet designed to help children understand some of God's Old Testament promises – to Abraham and David – to send a rescuing King. Coded answers help children to see how God kept those promises by sending His own Son, Jesus, at the first Christmas. Based on Luke 2 v 11, the angels' message to the shepherds.